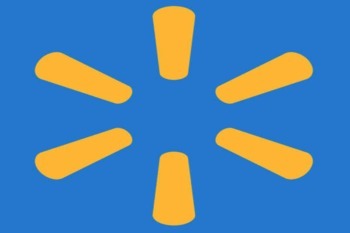 Walmart is making a new benefit to help employees with adoption expenses and has plans underway for expanding maternity and parental leave benefits for employees. The megastore will also give a one-time cash bonus (up to $1,000) for associates who qualify. Altogether, over one million hourly associates in the U.S. stand to benefit from the changes in the works. There are 87,100 such Walmart associates in California. "We are building on investments we've been making in associates, in their wages and skills development," said Doug McMillon, Walmart president and CEO. "It's our people who make the difference and we appreciate how they work hard to make every day easier for busy families." Triad Family Services can assist you in giving the precious gift of adoption to a child in need of a loving home. It's a very generous step from Walmart to help the employees who plan to adopt a child. It a very good deed and a smart investment from Walmart who is always do these types of strategies for both socially and for profit maximization. I wrote essays reviews on Walmarts' one dollar strategy. To claim the benefit, you must ample the claim form from their website custom assignment help and attach certification including invoices or bills for eligible costs such as application fees, agency, and placement fees, legal and court costs, etc. up to $5,000. As a drywall contractor in Naperville and as an expecting father who is trying to figure out how my wife and I will have enough time to bond with our new child but make sure that we are still getting income coming through, I think this post is great. We need to make sure that our mothers are getting enough time off during the first few months of birth to create an amazing foundation for our new generation! The greater part of individuals thinks adolescence is the most joyful a great time. I concur with this perspective. Youth is a condition of time being a youngster that is loaded with fun. Kids nearly appreciate entire of their time. Kids' life is free from a few duties and difficulties of adulthood,they never consider what individuals think, they simply do what they like. They don't live with the aggressiveness like grown-up's life.Above all else, youngsters old fashioned their exercises free from the duties. I discovered some instructional exercise and also papers from best essay writing service. Hope that sources would get some profound hypothetical information alongside some handy learning. As the wonderful scent assumes a critical part in setting our state of mind lovely and glad. For this reason the scents of various flavors accessible for us. You can buy assignment are the apple enhance however we can get these with such a significant number of flavors.